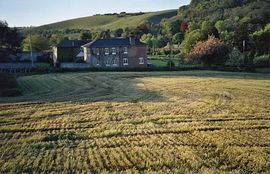 Watersend Cottage offers self-catering holiday accommodation in a brick and flint built property located on a working farm in the Kent countryside, between Dover and Canterbury. Attached to a large Georgian farmhouse, it has it's own private entrance, courtyard garden and parking area. The farm lies in an area of Outstanding Natural Beauty and is the perfect spot for keen walkers and nature lovers. Along with lovely views of the surrounding countryside you can explore the chalk hills on the farm, which are rich in flowers and rare butterflies. 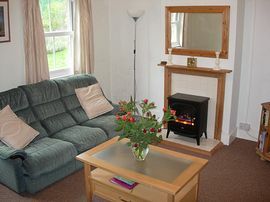 The spacious cottage sleeps up to five people in two bedrooms and we can also offer the use of a cot for an infant. 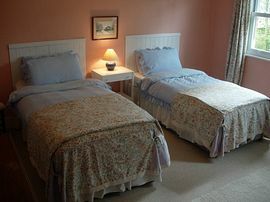 We are happy to welcome up to two well behaved dogs in the cottage for no extra charge. There is a village shop and post-office and a pub in Temple Ewell, 0.5 miles from the cottage. Temple Ewell is a pretty village with a mill-stream and boasts beautiful public gardens nearby with a lake and childrens' play areas. Further afield you can reach Canterbury in 15 minutes and Dover and the coastline are a short drive away. You can visit historic castles at Dover and Walmer and Howletts and Port Lympe zoos are also nearby. A day trip to France is another trip we can recommed, just remember to bring your passports with you! 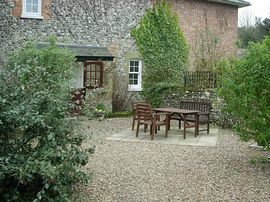 Private Courtyard garden, and use of owner's lawned area. Walks on owner's farmland. Local Services: Shop and pub 0.5 miles. 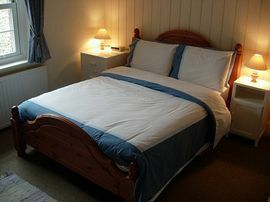 Prices per week from £250.00 in Low Season to £400.00 per week in High Season. 'The cottage is one of the best we've stayed in - extremely well equipped and a good base for a great holiday' September 2007, George, Sylvia and Carole, Coventry. 'Felt immediately at home on arrival. The area is full of interesting places. Brilliant for dog walking, we will return' August 2007 June, John and family, Lyndhurst. 'A gem of a location with fantastic views. Wonderful walks for the dogs without leaving the farm.' June 2007, Peter and Polly, East Sussex. 'Thank you for the lovely accommodation. We will recommend it in Holland.' July 2007, Tenna and William, Holland.